Its 2 am in Minneapolis and I'm sitting in my hotel eating dinner while replaying in my mind Princeton's 5-4 overtime loss to Minnesota-Duluth in the first round of the NCAA Men's Ice Hockey Championships. Its a game that Princeton would have won were it not for Duluth scoring a goal with 0.8 seconds left in the game to send it to overtime. The emotional extremes for both teams cannot be understated in a game like this. But the experience for five student athletes from each team was different from their teammates, due to post game drug testing expectations. The game officially ended at 11:04 pm. For Princeton, three athletes produced samples that were acceptable within 15 minutes or so, but two were unable to do so because their specimen was too diluted. The fourth athlete was successful on his second attempt about 45 minutes after the process started. But for the fifth athlete the ordeal was just beginning. He spent time eating 4 or 5 power bars, almonds from the concession stand, and NutriGrain bars. And he couldn't drink anything to help wash it down (keep in mind he played over 70 minutes of hockey) because he was too hydrated. After 90 minutes when it was clear we had a long way to go, I asked if the test could be done anywhere, and the testers confirmed this was the case, so I suggested the testing process be moved to the hotel. The request was denied by another individual not assigned to our team. In addition to the post game separation from his teammates, he was also unable to spend time with numerous family members who attended the game. At that point, because he wasn't dehydrated enough, it was suggested by the testers that he "work up a sweat". Despite already having showered and wearing a dress shirt and khakis, he got on a bike to continue losing fluid (never mind the NCAA rules about post competition workouts). Still no luck. More waiting and an exercise called the "dying cockroach" (a sit-up like activity for about a minute or so) to help him urinate again. I wish I was making this up - but I'm not. It is important to mention that the drug testing staff assigned specifically to our team was VERY professional and the student athlete was gracious throughout - courteous, accommodating and an incredible representative of Princeton, his teammates and himself. The NCAA representatives and the University of Minnesota hosts were similarly professional. Everyone made the best of a bad situation, but this situation never should have been allowed to happen in the first place. 2 1/2 hours after the contest ended and six urine samples later, we finally left the building at 1:40 am. When we left, there were still athletes from Duluth who had not yet produced a sample due to the same problems. I can only assume they were engaging in the same activities. But Duluth's athletes had a game to prepare for at 8 pm the next evening and their preparation consisted of no post game dinner (unless you count similar Power Bar sustenance) and an expectation that they dehydrate themselves while needing to be ready to compete again in 18 hours. I should also note that athletes from Miami and Denver had the same expectation and that at least one athlete from the first game took more than three hours. It is important to note that a positive post game test for banned substances has no impact on the outcome of the contest, making the importance of doing a test at this time of quite limited. The athlete only disqualifies himself from further competition with a positive test. The result is a well designed process with horrible timing. The season shouldn't be concluded with well-intentioned strangers asking you to pee in a plastic cup into the "wee hours" of the morning. This could easily be done the day before competition after practice, or even on campus within a couple weeks of the end of the season for post-season contenders. The student athlete experience is incredible and the memories from this game for both teams will last a lifetime. But the bonding experiences, grieving, celebrations, family time and other associated camaraderie - an incredibly important part of those memories - were incomplete due to a well intentioned attempt to keep the college athletics drug free. Athletes on the losing teams will never be in the same locker room again. Athletes on the winning teams are trying to avoid the same fate in less than 24 hours. Each season has a life of its own and when its over, the loss can be death-like. For athletes participating in any of the 88 championships sponsored by the NCAA, there has to be a better way to enforce drug-free sport while maintaining the integrity of the student athlete experience. The current post-game approach doesn't balance these interests adequately. On the Princeton athlete's last attempt, the tester said to him, "Lets get this done (correctly) this time so that you can go home. I'm sure you'll wish to never see me again." The athlete responded: "I want to see you again, because I want to be back here again next year." I hope he gets his wish, but on the practice day prior to competition. I am sorry your team had to endure this. I would echo your comments. My women's lacrosse team experienced near identical situation during the a NCAA first round loss in 2007. Unfortunately, our drug testing representatives were less than cordial. To the point where the director yelled at our student-athletes because they were laughing about the situation. Another tester yelled at a student-athlete because she asked to many questions. 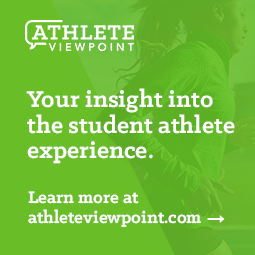 I've heard from a number of people throughout college athletics since the blog was posted - all with similar stories about how unfortunate the timing of the testing is. Hopefully a solution will develop from this. What is the sole reason why they are conducting such test? I fail to see any..